Uh oh, droopy ceiling? 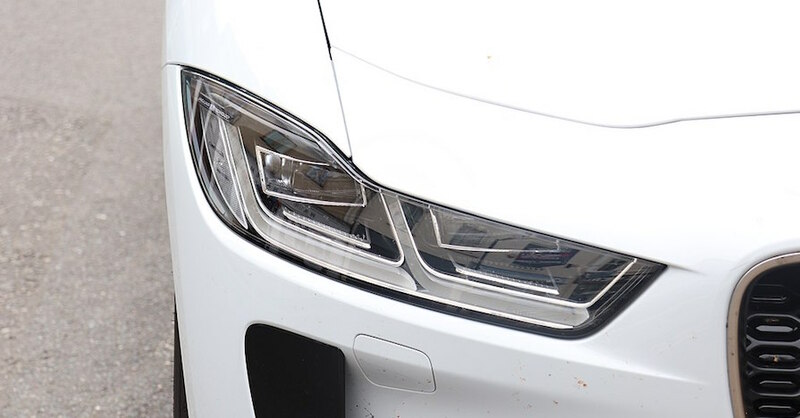 Besides being an eyesore, a saggy headliner can be a safety hazard if it obscures your vision. 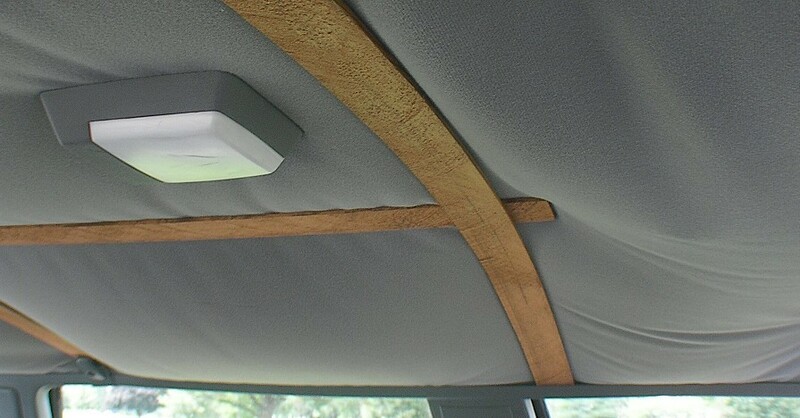 Car ceiling repair might appear to be an involved job, but with a little patience and the right tools, this is a DIY project that doesn’t have to involve thumbtacks and duct tape. Arguably the toughest part of the job, the headliner must come out of the vehicle so you can reupholster it. Any part touching the headliner must be removed, and these components will differ depending on the vehicle. Things like rubber lining and side panels can be pulled off entirely or just far enough to free up the ceiling. You’ll probably need a screwdriver to remove visors and grip handles, and dome lights may need to be disconnected from the electrical. Once the ceiling is clear, the headliner should come out easily. 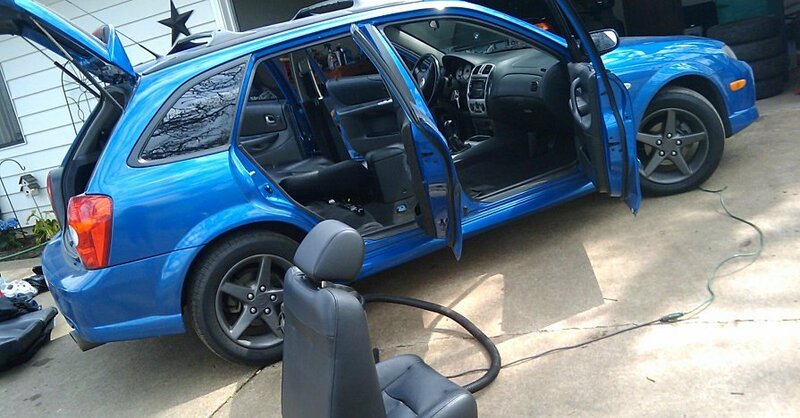 Unless you have a hatchback, you’ll need to recline your seats to slide the headliner out one of the doors. 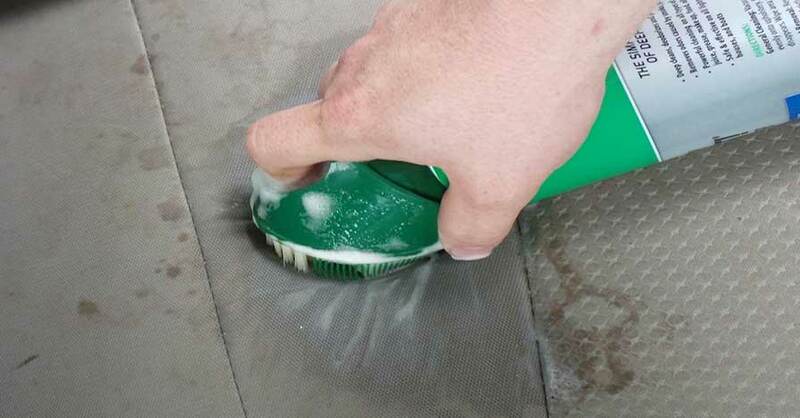 Set up in a well-ventilated area, away from anything flammable and other fabrics — spray glue can get messy. Place the headliner ceiling-side up on an elevated surface, and completely remove the existing fabric. There will be a light foam residue underneath that must be removed with a stiff plastic brush. Depending on the material your headliner is made of — fiberglass or something more delicate — you may be able to use a wire brush for faster results. 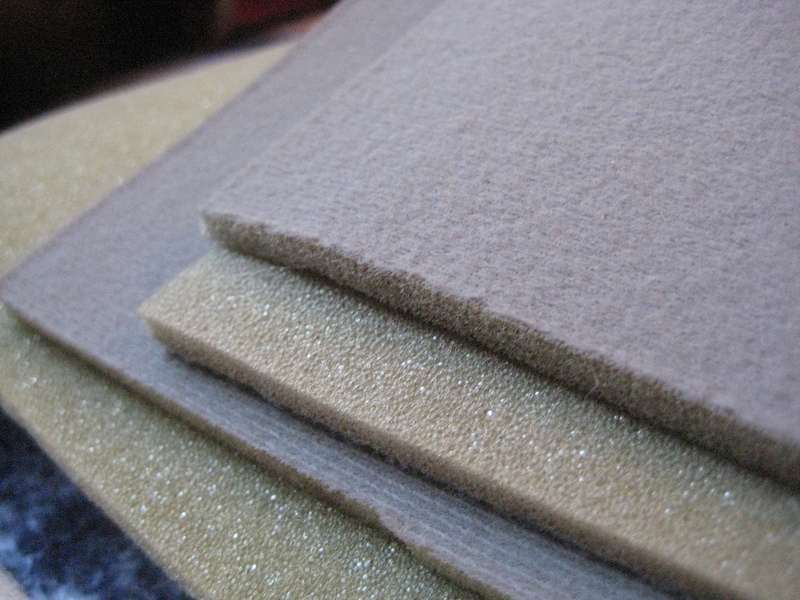 Lay new liner fabric foam-side down over the headliner to make sure it’s fully covered. Three yards should do it for most vehicles, and overhang is fine for now. Clip one end of the fabric to the headliner to hold it in place, and fold half of the fabric back to expose the clean headliner. Spray a liberal layer of spray adhesive on the headliner using long, sweeping motions. Do this until the entire surface is completely and evenly covered, including around the edges. Repeat the same step for the exposed foam side of the fabric. Wait five to 10 minutes for both surfaces to dry. The glue should be sticky to the touch, but it shouldn’t come off on your hand. Carefully fold the fabric onto the headliner, then use something with a straight edge or the back of your hand to smooth the fabric into place, working from the inside out. Don’t press down with your fingertips or you’ll be left with fingerprints. Gently press the fabric around the edges of any holes, just enough to see their outline. Release the clips, fold back the other half of the fabric, and repeat the process on the other side. When you’re done, use a pair of sharp scissors to trim around the perimeter of the headliner, leaving one inch of excess material all around. For the holes, cut Xs from corner to corner. Fold the excess fabric into the holes and around the edges over to the other side of the headliner, where the glue should then hold it in place. Your headliner goes in the same way it came out, but in reverse order. Replace and reconnect all the components that you initially removed, and you’re done! Easy, right? This repair should last five to 10 years, and you’ll not only get a new headliner out of the deal. You’ll also get bragging rights for having added upholstery to your DIY skills. Check out all the interior products available on NAPA Online or trust one of our 17,000 NAPA AutoCare locations for routine maintenance and repairs. For more information on car ceiling repair, chat with a knowledgeable expert at your local NAPA AUTO PARTS store.